If you’re ready to overhaul your current website, it’s normal to feel wary about investing in the cost of help from a website builder or team or professional web developers. However, in most cases, the cost of investing in website repair and maintenance is well worth it due to the impact that a website has on a business. Below, you’ll find a few of the most important functions that your website serves, as well as a few tips on how to get a great site. If your website is currently a little underwhelming, it’s time to put some serious time and effort into its improvement. Without links to social media and original content, your website is likely to underperform on search rankings, making it more difficult for your target audience to find their way to your business. By including relevant keywords and pages dedicated to blog posts, your rankings are likely to improve and help customers more easily find your website. Consumers are increasingly interested in performance and quality, as Google and Yelp reviews are commonly perused before customers make a decision. Since customers demand high-quality products and services, your website should be an excellent indicator of your company as a whole. The website should be attractive, not too “busy,” easy to navigate, and free from spelling or grammatical errors. For inspiration, spend time browsing the web and looking through a wide variety of different websites and write down a list of what you’d like to incorporate on your own website. Even when your building closes for the day, your website is up and running to assist customers in finding what they’re looking for. If your site isn’t user-friendly or doesn’t provide the useful information that customers need, they’ll move on and give their business to another company. Website design and ease of use is extremely important, and your business can only benefit from investing thought, time, and money into its website. After your website is launched, make sure to spend time testing it out yourself to see how it fares. If you’re able to identify problems, strive to fix the issues in a timely manner. Your website is only as good as its designer. Although it might be tempting to hire a designer with the lowest rates, that’s not always the best route to go. Small businesses often work with a small budget, but small business website design is of the utmost importance and should be given high regard. Since the website serves so many essential functions, it’s usually wise to seek help from a professional web design company. The company you choose to help you with your website design should be able to offer insight and tips on page layout, as well as work with you on a regular basis to re-evaluate your goals. 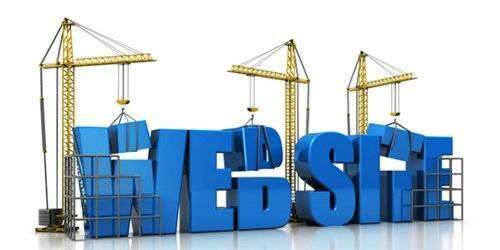 In addition, a website design company will be able to maintain the website after it has been launched, crossing one more thing off your list concerns so you can worry about other aspects of the business. Let’s face it, in today’s society we want things to be easy, fast, and awesome without too much work. If you are looking for something you want on the internet you don’t want to go to a website click 3 times to find the menu, dig through 20 different categories to find the subcategory you are looking for, click through two more sub-sub categories, wade through pop ups, flash banners, crazy lettering, jump up and down on one foot while chewing gum, and reciting the entire alphabet backwards in order to find what you want. With the fast paced world of laptops, smart phones, and tablets we have information at our finger tips and don’t want to spend hours searching for what we are looking for. If you want the perfect pair of shoes you don’t want to go to a website and search and dig through funky navigation and searches that go nowhere. A fast sleek website with easy navigation, the correct content, and brand trust is what many consumers want and with proper web design that is what they can have. Let’s try something out for a quick second. Go to your favorite search engine and enter in something you are interested in and proceed to the first website you find that may have what you are looking for. How long exactly are you going to dig around on that site for what you want? If you don’t find it within the first 3-4 minutes of visiting the site are you going to stick around and keep digging? You know in today’s technologically advanced world that what you want should be easily accessible. Do you continue digging through the mess of a poorly designed website, or do you leave the site knowing you can find what you are looking for faster and easier somewhere else? Easy odds that most people say they would leave and try somewhere else. That is why web design and proper navigation are so important for a website. Great website navigation, which allows the consumer to find what they want when they want it, is key to holding the consumer’s attention long enough for them to find what they need. A big bulky site with too many pages, too many menu options, and links upon links upon links will slow down the process and inundate the consumer with items or services they may not be looking for. Providing a fast and efficient way for clients to navigate and find their items will provide the consumer with the fast and easy transaction they were looking for and increase the probability of the consumer coming back for a return transaction. There are a few things that can negatively affect the consumer’s visit to a website. There are commonly used when proper web design is not implemented such as busy and loud layouts that are visually unappealing, small print or print that is hard to read, boring and bland designs that cannot keep the consumer’s attention, and pop ups and flash banners that are visually distracting. If used properly web design can pull a person in and keep them coming back, but if neglected the site can become cumbersome and, at times, annoying. Web design can help enhance a website to make it not only easy to navigate but also appealing and attention grabbing for the consumer. While searching through websites for information, goods, services, etc. it is hard to focus on a website with crazy letters, blinking colors, or crazy flash banners running throughout. It can also become monotonous and mundane wading through a site that is dull and boring. Its headache inducing, can take more time to load, and takes attention away from what the consumer really wants. Once someone goes to a website with a great design it should hold the consumer’s attention without distracting from the original purpose of visiting the site. With proper web design a website can go from a clunky mess to a sleek site that is easy on the consumer’s eyes but also attractive enough to garner and keep their attention. Now don’t forget the content! What you put out is what a person will judge your site on. They aren’t looking for hidden meanings and may not take time to question your information. Web sites are taken at face value and what content is put out there is imperative to providing the right information to the right person. On the flip side putting too much content out there is just as harmful as it can inundate the consumer with information that can become convoluted and confusing. Great web design is important as a perfect balance helps ensure consumer satisfaction. If you go to a website and find an unappealing, directionally challenged mess are you going to have confidence and trust in the information or services provided? Many consumer’s want to know that a company stands behind its brand and is proud of what they put out there. Providing a consumer with a great place to view information is the start of that relationship with the consumer. A website that utilizes great web design can show a person that they are put together and trustworthy. A lot of people tend to stay online for most of the day between email, online shopping, social media, and general web surfing. Many people will do a search engine search about a company or for an item before making a purchase to help ensure satisfaction and great web design is vitally important for that process. It all sounds so simple but it’s a complicated process. There is a fine balancing act to having a great website but with proper web design a site can attract and entice the consumer. A great attention grabbing, but not over the top setup, the right content, brand trust, and navigation that keeps you from clicking in circles will help bring people in and keep them coming back. One of the most important factors about development is Responsive Website Design. The term suggests that the site should be responsive in different platforms. Apart from PC or laptop, the website should be responsive in mobile phone and smart phones.